Recently, UC Davis Professor Art Shapiro gave a talk at the Commonwealth Club. It was a tour-de-force. He described it as a very quick resume of a course he’s been teaching for 40 years at UC Davis. The takeaway: The conventional wisdom about ecology is often wrong. Nativists idealize an ecosystem as a community of plants, animals, fungi, and other organisms that have evolved together over many thousands of years in a particular place so that they fit like a complicated jigsaw – the balance of Nature. (We’ve heard them use phrases such as “lock and key” to describe the effect of this co-evolution.) When non-native and invasive species enter, nativists believe, they destroy this intricate mechanism, resulting in an impoverished and simplified ecosystem with fewer species and no natural balance – and even the dire possibility of ecosystem collapse. They talk in terms of plants and animals that “shouldn’t be there” – usually, immigrant species brought in by humans. But it’s not often true. What the scientific data show is that “communities” of that interdependent kind are unusual. Instead, most ecosystems are groups of plants and animals that happen to be in a place where they can thrive. When they interact, it’s usually because of “ecological fitting” – they can use the other plants and animals in that area to help them survive. Depending on how ancient they are, communities may include tightly co-evolved mutually interdependent multispecies systems. But these make up only a fraction of the community as a whole. 1. There’s no functional difference between a heritage ecosystem and one with exotic species. If there was, scientists should be able to tell an undisturbed “community” from an invaded one without knowing its history. In fact, they can’t. There are no consistent functional differences once an “invading” species has been established. Some ‘invaders’ can drastically transform the systems they enter – an example is cheatgrass in the Western deserts, which greatly amplified fire risk there. But most do nothing of the sort. 2. Species recolonize open land at different rates. “Species move, communities don’t.” If a landscape is wiped clean – say by glaciers or a volcanic eruption – nature begins to move back in almost immediately. The pollen record allows scientists to understand which species of trees arrived at which time. It shows that tree-species move individually, not as communities. 3. Species that now don’t exist in the same place did so in the past, which would not be true if plants and animals normally lived in fixed communities. 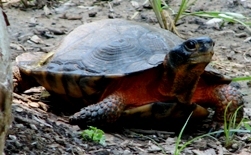 One example: the wood turtle and the southern toad are not found in the same areas now – but the fossil record shows that in the past, the ranges did overlap. This couldn’t have happened if they needed to be part of different communities. Vast areas were occupied in the past by “no-analogue” communities – ones that simply don’t exist anywhere at all today. He ended by pointing out that we – humans – are an invasive species. So are most things, at least at one time. Read on for detailed notes from Professor Shapiro’s talk at the Commonwealth Club. Again, you can listen to an audio-recording of the whole talk HERE (on the Commonwealth Club website). The talk was in three parts: The first laid out the historic context for two opposing schools of thought about ecology. The second examined the data, and concluded that the evidence supports Gleason. The third part looked at the future, which includes climate change. ECOLOGICAL “COMMUNITIES” OR “ASSEMBLAGES” ? 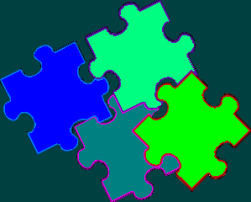 Here’s the conventional wisdom about ecology, associated with Frederic Clements: Plants, animals, insects, fungi and microscopic creatures form interdependent groups, or “communities.” The process by which this happens is “co-evolution” (sometimes described as evolving a “lock and key”), leading to an ecology where all the species fit together like a jigsaw puzzle. 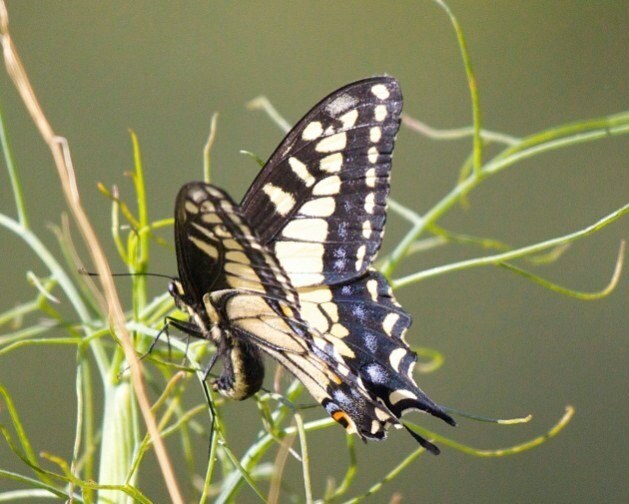 (“Co-evolution” is associated with Peter Raven and Paul Ehrlich, who described it in butterflies and plants that evolved together.) If an area is disturbed, it will go through a predictable process of “natural succession” that will lead to a stable “climax” situation, with all its species again interacting as a community. This stable ecosystem is sometimes called “the balance of nature.” Tamper with it, this theory says, and you could destabilize the whole community, even leading to ecological collapse. The opposing view, associated with Henry Gleason, is that plants and animals do not necessarily form ecological communities. Instead, groupings or “assemblages” of plants and animals occur mainly by accident. They happen to arrive in that space at that time, and find conditions that allow them to survive and thrive. The species in such an assemblage will interact, not because they co-evolved, but because they find an opportunity to do so. These theories about how species fit within an ecosystem were quantified when several ecologists – including the famous Robert McArthur – introduced mathematical models that looked at populations of plants and animals and their interactions. They used these models to look at Species Packing – i.e., how many different species of plants and animals could live in a particular ecosystem. Assembly rules says that the distribution of plant and animals species in a given area isn’t random: both competition and cooperation between plants and animals affect what you find. Competing species can’t all live in the same area, but their niches can overlap. Where they do overlap, the two species may evolve more differences (“character displacement“) so they compete less. These mathematical models assumed a condition of equilibrium, i.e. stability. Opponents have argued that ecological niches are seldom stable because the physical environment is not stable for very long. R.H. Whittaker introduced the idea that the levels of dependency could vary within communities. For any two species, you could assign a number: +1 meant that the species needed each other to survive; -1 meant that they could not live in the same space. He speculated that these relationships tended to be distributed in a bell curve – meaning that most species in a group didn’t depend on the presence or absence of another species. 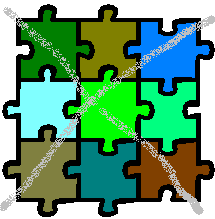 But some subsets of the community were tightly integrated. How adaptable are living things? They can evolve, but only in certain ways. Niche conservatism is the idea that most species cannot change very much or very fast in response to changes in their ecological niches. The idea of co-evolution was fine-tuned with John Thompson’s concept of Geographic Mosaics. Co-evolution between two species can happen differently in different geographic areas. So, for example, a plant in one place might depend totally on one insect for pollination, but elsewhere, the same species of plant might find alternative pollinators available. Such Fine-Tuning is the opposite of Niche Conservatism – and both occur in Nature. Cladistics (i.e., the system of showing how related species evolved from common ancestors) provided a way to test the Ehrlich-Raven co-evolution hypothesis. If one kind of animal or plant developed into a separate species (“speciation”) then did the plants and animals depending on it also co-evolve into a separate species? There was no evidence that this happened. Co-evolution was a lot sloppier and more unpredictable than that! Every time you see two organisms working together, it doesn’t necessarily mean they are co-evolved. Dan Janzen, a great tropical ecologis, pointed out that organisms could be taking advantage of niches and resources that appear through Ecological fitting, with no history of coevolution at all. We see this happen when introduced pests attack native plants, and native insects attack introduced plants, forming brand-new associations. It happens all the time. Is there really a difference between “intact” ecosystems and ones that are disturbed or invaded? Mark Sagoff pointed out that if there really is a functional difference between “invaded” and “co-evolved” ecosystems, then scientists should be able to tell them apart without knowing their history. There’s more evidence against the idea of stable interdependent communities as the norm in nature. For example: pollen core data shows that trees recolonizing lands after glaciation don’t move in “communities.” The tree species migrate at different rates. Only those species that have mutualistic relationships move together (for example, mycorrhizae and trees). “Communities” are like still shots from a movie. They show a set of relationships at a particular point in time. That doesn’t mean the relationships are stable or unchanging. Many species show different sets of relationships in the past. For instance: at present, the wood turtle and the southern toad have completely different ranges – but in the past, those ranges overlapped in places. In the UK, workers building Hadrian’s Wall nearly 2000 years ago left middens that have remains of beetles of species now found only in Lapland. When an event that wipes out an ecosystem and recolonization starts, it takes trees 50-100 years to leave a pollen signature. Beetles that can fly get there in months to a few years. If communities were stable groupings of interdependent co-evolved species, then we would expect to see the same communities repeated in similar conditions. But in fact, we often see different groupings in similar conditions. Decisions about what ecosystems should look like are subject to human preferences. For most people, what they grew up with is “normal.” But the world has changed. The climate is changing. The pool of available species has increased enormously. In terms of trying to “restore” an earlier ecosystem – there’s no going back. I attended Professor Shapiro’s presentation at the Commonwealth Club. This is a brilliant summary of his presentation. Thank you for making it available to the public in a comprehensible format. I hope it is widely read. Can you post the talk given at the Commonwealth Club on Eucalyptus Trees? It was very interesting and informative.